Good day crafty friends, Kathi here today to share a project I have made using Quick Quotes Winter Bliss Collection. 12 x 12 page featuring Winter Bliss. Using two pieces of 12 x 12 paper Winter Bliss100 and 101. 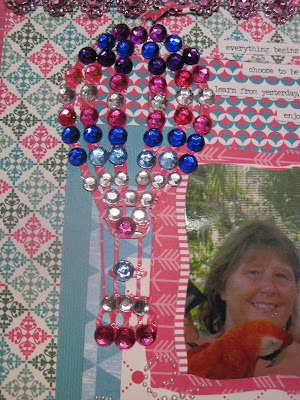 Using a balloon die as a template, bling was glued to the balloon. The balloon was placed next to the photo. The butterfly was placed over three roses. A thin layer of glue was painted on the butterfly for the glitter to adhere to. The roses were placed over the layered paper. 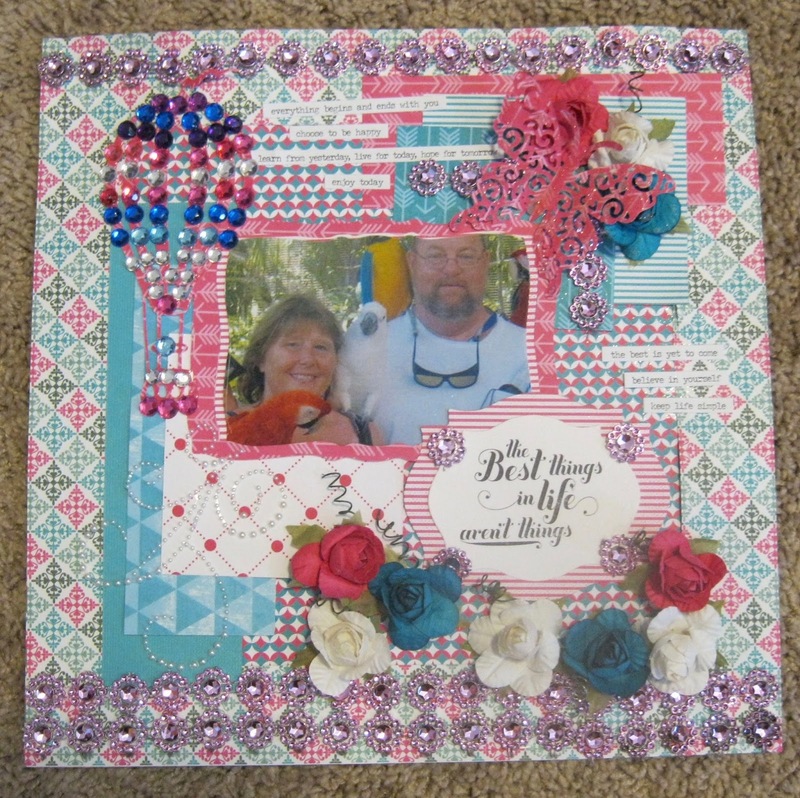 White, fuchsia and blue roses were added underneath the stamped sentiment and meshed bling finished the layout both at the top and the bottom of the layout.